Our Dog Towel is unique, as it’s made with a higher density 400gsm Microfiber. The 400gsm makes the Snuggly Dog Towel, the Highest Quality, Luxuriously Soft, Maximum Water Absorbent Dog Bath Towel you can buy. The Easy Wear Dog Towel Stays on Until Dry. 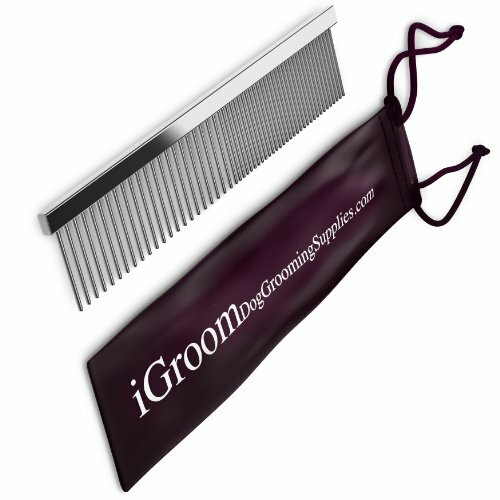 Prevents Rapid Cooling,Keeps Furniture & Car Interior Dry. Soft Wrap Around Belt adds Versatility, use as a Dog Towel and/or Warm Plush Dog Robe. You just found the most versatile dog drying towel on Amazon! 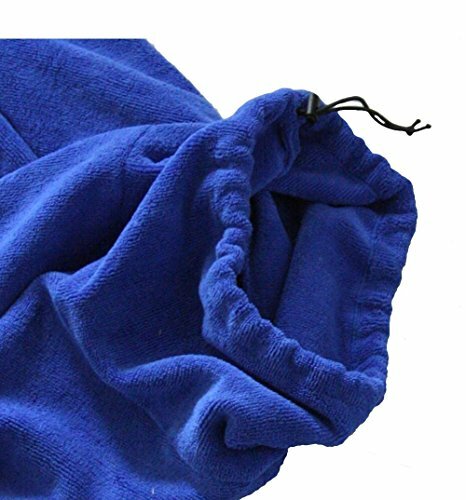 The Snuggly Dog easy wear 100% microfiber dog bath towel wears like a warm plush dog robe. Made with 400gsm microfiber material for a superior water absorbent dog towel that dries your dog’s coat off quickly. This easy wear dog towel stays on until dry. 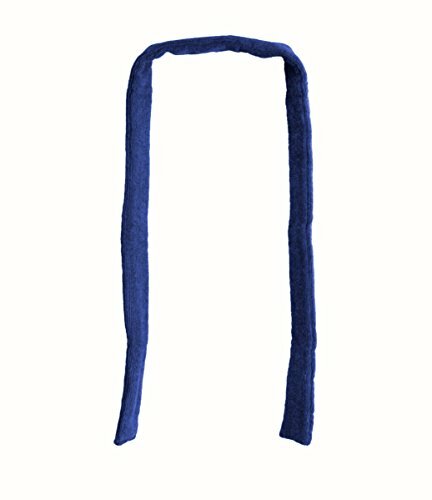 Features an adjustable neck toggle and button with elastic loop to secure it around the tail. 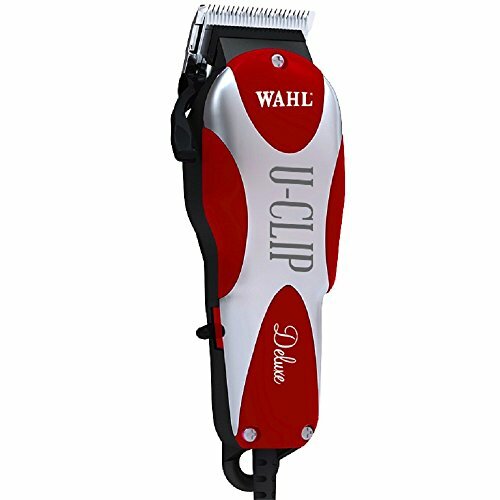 Now comes with a soft wrap around microfiber belt. 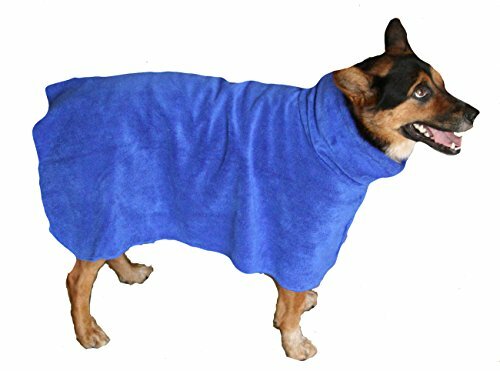 Unlike other dog towels, you can truly wrap your dog up in the Snuggly Dog bathrobe towel. The belt secures it to cover up their underbelly to keep them warm and prevent rapid cooling from their wet coat. 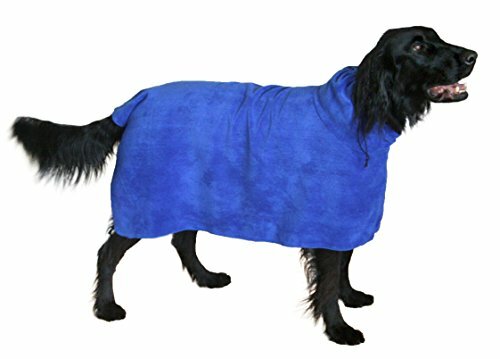 You’ll like the ease of slipping it on and knowing your dog is comfy and warm and will be dried off in no time! No water on the walls, furniture, car seat, or you! 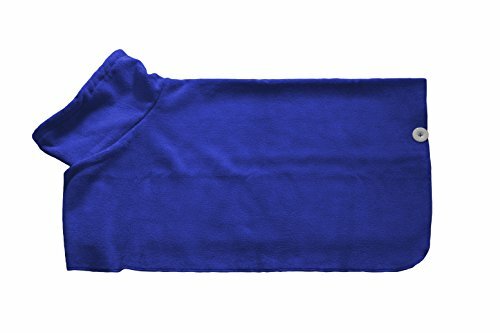 This Microfibre dog towel is very convenient to use for anytime you need to dry off your dog, after a bath, a walk in the rain or a day at the lake. 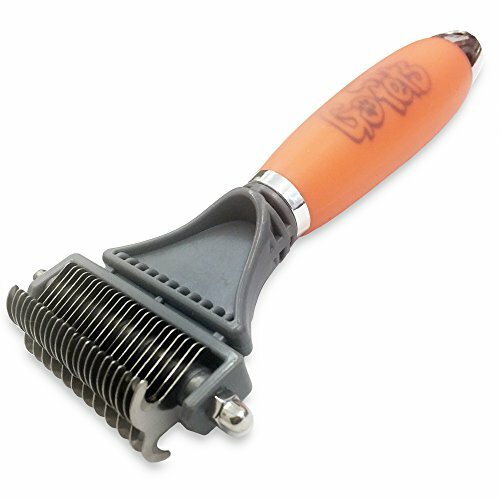 Works for all dog breeds and coats. The Snuggly Dog towel is great for dog grooming, dog baths, dog shows, or for just good plain get wet fun! Hand wash or machine wash on delicate cycle. Air dry, no fabric softener or dryer. 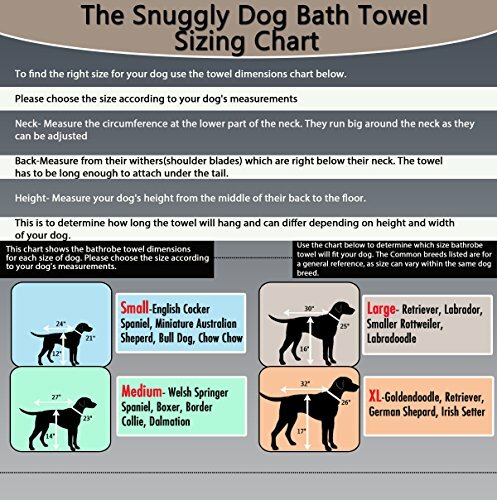 *Please refer to the towel size chart to determine the right size for your dog. *The Small Dog Bathing Towel is 24″ Long. (Your Dog’s Back Length Needs to be 24″ or shorter to attach under the tail). Measure From Shoulder Blades to Base of Tail. Towel Floor Length is 12″. ( Measure from Middle of Back to Floor) Height must be 11.5″ or shorter. 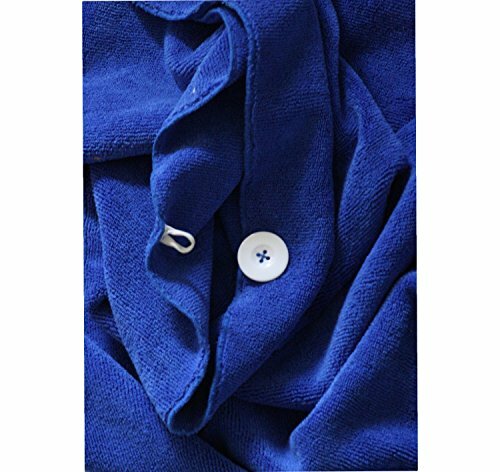 Features an Adjustable Neck Toggle and Button with Elastic Loop to Secure Towel Around Their Tail. Summer Sale! Order Yours Today. 100% Money Back Guarantee You’ll Love It!